How nifty! 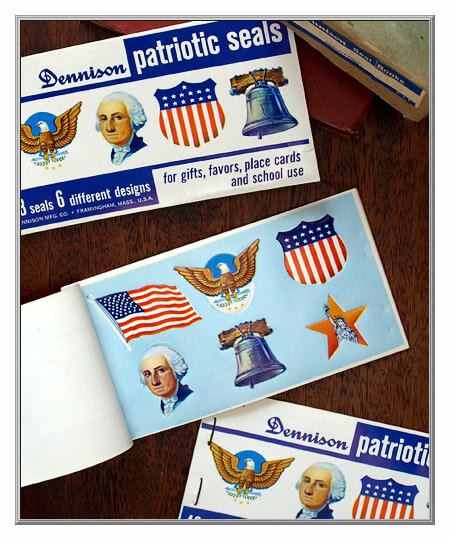 These genuine old patriotic seals are "for gifts, favors, place cards and school use," but we think you'll find their retro charm lends them to all manner of decorative projects. In like-new condition, booklet has 48 gummed seals in six different designs. 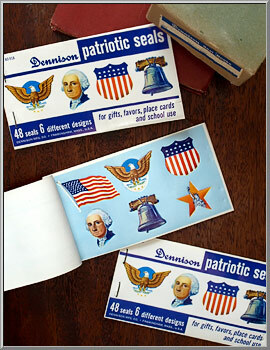 Produced in the U.S.A. by the Dennison Mfg. Co. of Framingham, Mass. Sold as one stickers booklet.